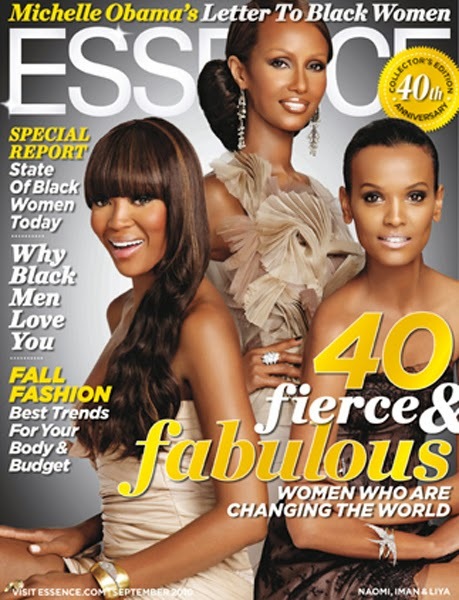 September 2010, featuring Supermodels Iman, Naomi and Liya! 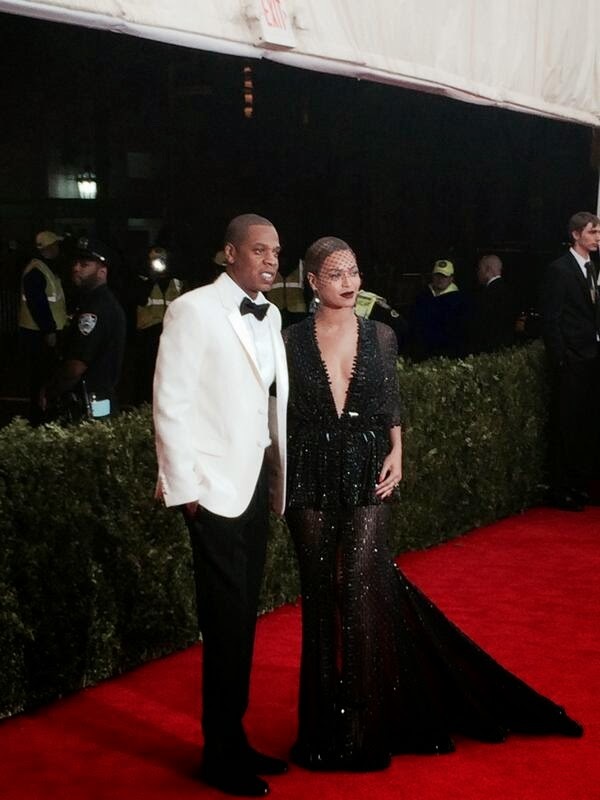 Reality or Entertainment: Has reality TV gone too far?? In light of the new season of Love & Hip Hop Atlanta, I felt compelled to say a few words. I am all for good entertainment, but has reality TV gone too far? Drama seems to be the common donominator between all of these reality shows, which a little drama never hurt anybody, or does it? We are living in a generation that is controlled by social media & reality TV, some people(like me) tune in for the entertainment value, not really taking much from it. However on the other hand there is a generation of young black women that look at these shows as real life. Is there a thin line between reality and entertainment? Shows such as Basketball wives LA show just how ratchet reality TV can get. I do not believe in anyway that it is ok for people to get to a point with each other were they feel the need to put hands on, but now a days if there is no fist throwing there are no ratings. It's sad that this is the way that is it, but who can blame the ratings when it's us that keep it going. While shows like Lala's full court life get little trending play they still manage to stay on the air showing that some people still like life drama free. There is no way to completely escape the drama of the world! Season after season these shows get more and more degrading for African American women, yet we still tune in. Why? Does this mean we have to reprogram ourselves to take in less drama and find more productive things to do with our lives. When was the last time you picked up a good book and fed your mind? However I am sure you can tell me what the last episode of Love & Hip Hop was about. Don't get me wrong I am just as guilty for entertaining the very thing I am questioning in this post. But even I question whether or not to continue tuning in from week to week. Has reality TV went too far? Have you ever considered tuning out? Let me know your thoughts? 1. If you think shorts are for girls or women under a certain age, think again. Choose tailored shorts instead of casual denim options for a more sophisticated look. Paired with heels, tailored shorts make great options for summer's dressy events, but you can also dress them down with flats. Denim shorts paired with a blazer create also create a sophisticated and structured style aesthetic like Solange's outfit below. 2. Yes, you can wear shorts with heels without giving off the lady of the night vibe. The key is to make sure that your shorts aren't too short or too tight. Here, the fit and cut are essential to pull off this look with class. 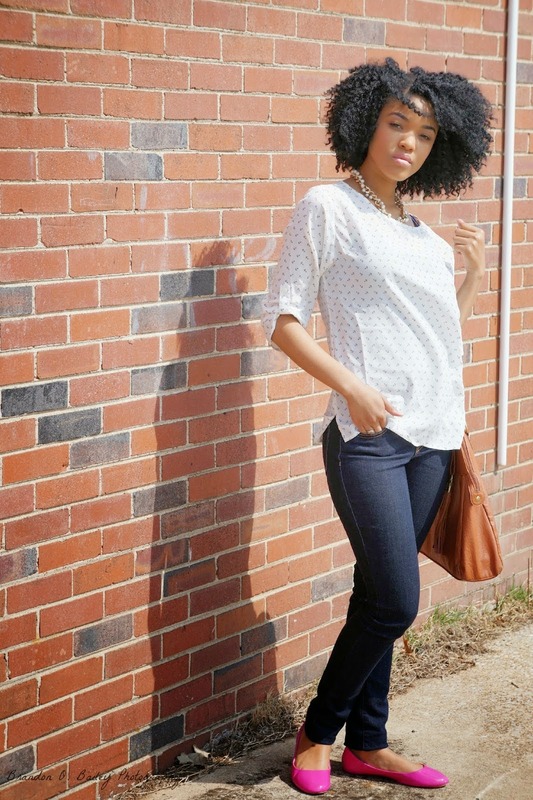 Blogger Ashleigh of the Daileigh does this look effortlessly. 3. Play with proportions. A fitted shorts can pair nicely with a flowy tank or looser fitting blouse. A looser fit on the bottom may look better with a tighter blouse on top. A close-fitting tee, a tailored short and a statement necklace make for an easy-breezy chic summer outfit. 4. High-waisted shorts are very popular right now, but they can be tricky. I prefer the looser fits like the one pictured below. 5. Accessorize your look and have fun. Bring your unique personal style to the forefront by adding fun accessories and shoes to your shorts outfits.Remember your style is yours, own it. The possibilities are endless. Try shorts of different textures and colors. I love the current crochet/lace shorts trend. It's super feminine. What do you think about the pixie hairstyle? Today it's my pleasure to introduce fab style blogger, Dominique. Tell us about yourself, who is Dominique? I am currently a sophomore in college, studying psychology and Spanish. I am currently obsessed with Sims 3. If I am not busy with school, work, or blogging; you will definitely find me playing that game. I was born and raised in Alaska, and no my family isn’t military. And of course, I love fashion and blogging. Being a style blogger is truly my passion. It is so fun, and a neat way to document your life, style, feelings or whatever one decides to blog about. How would you describe/define your style? I would describe my style as girly. I find it easier to dress myself and pick outfits during the summer/spring because of all the bright colors and patterns. 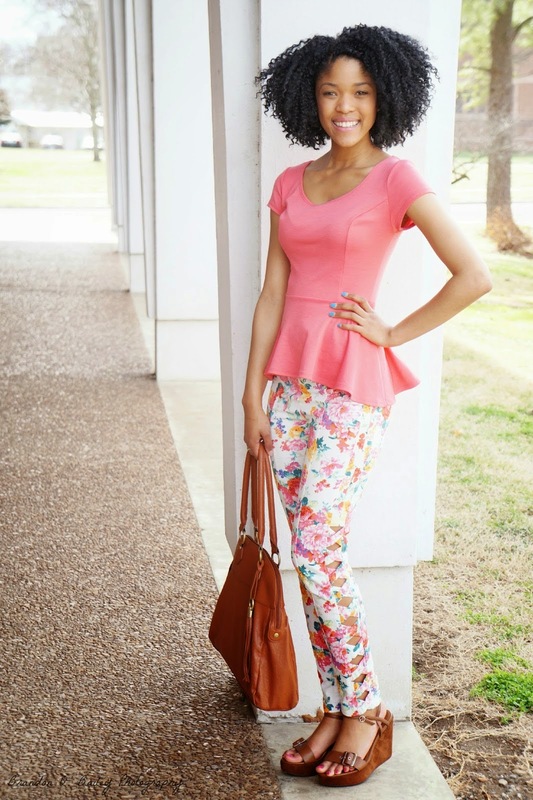 I love floral print and wear it quite often; any piece that makes feel feminine, I like. What are some of your favorite trends/pieces that you're wearing this spring? I am not a “trend” person, but I am loving neon’s and floral. 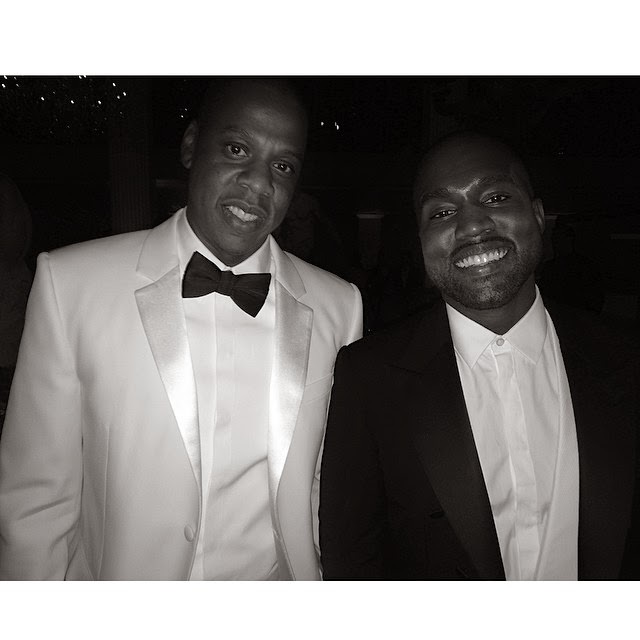 I believe that these two are always season staples. 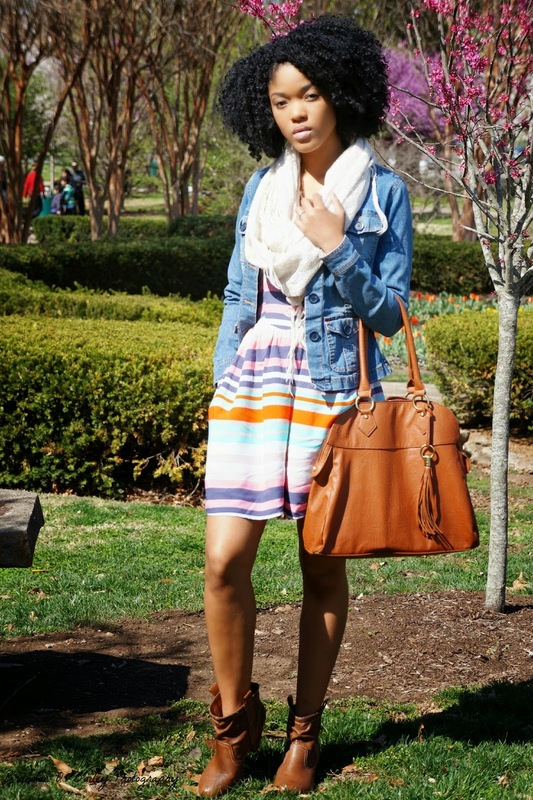 Spring is when people feel like they can wear bright colors and floral. It’s sort of like life imitating art. During spring everything is blooming and there are so many colors, and that’s exactly what I am gravitating towards. Where do you get fashion inspiration? I get most of my inspiration from fellow bloggers. I like seeing how others are putting their own twist on a trend or how they’re just not following the “fashion rules” at all. A lot of people think that’s there’s a formula of what an outfit should consist of, and that’s not the case. Magazines make a point to show you how to make a trend work for a specific body type, but a lot of us don’t fit into one mold. Seeing real women style their clothes for their body, is a great way to see how you can make things work for you. 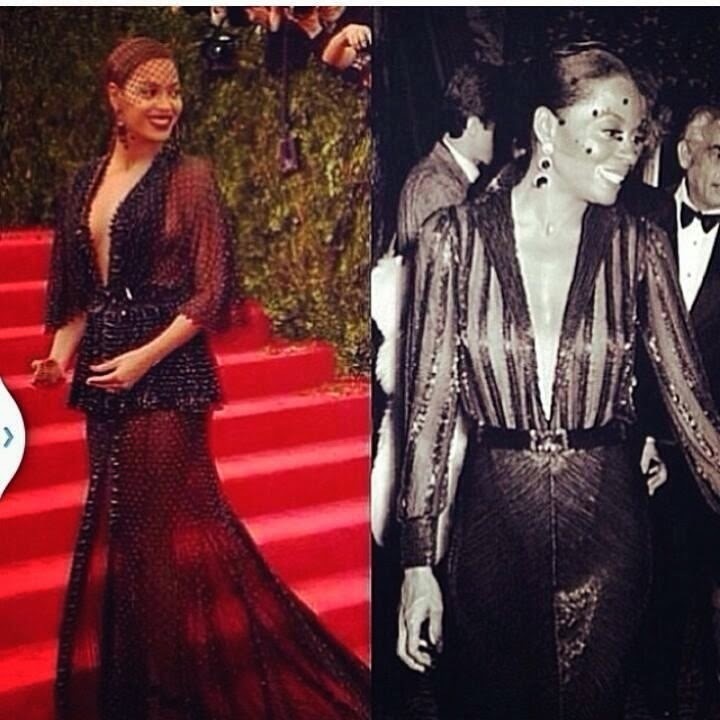 Beyonce channels Diana Ross, this is what I call a #boss move! My family will tell you, I have loved fashion since I was a little girl. I can still remember coming home in exhilaration at six years old because my mother allowed me to choose my Kindergarten (or “Basic School” as we say in Jamaica) graduation dress. The light blue lace number I chose came with all the frills, pomp and circumstance that my girly heart desired. I just knew I was a princess that day. Oh, the joys of childhood! I grew up taking pride in my appearance. A lady never knows when she has a date with destiny, right? If I look good, I feel good, and the opposite is also true. Like everyone else, I have had my “blah” days, but for the most part, I aim to present myself well to the world. I enjoy the creativity and self-expression that comes with fashion and have had my fair share of personal style trials and errors. Yet, recently I noticed that I did not feel pretty on the inside. One morning as I got ready for work and applied the last touches of my makeup, I paused and took a deep breath. In a moment of truth with myself, I admitted that for weeks I’ve been feeling stressed, slightly overwhelmed, and burned out. I operated on autopilot, moving from one task to the next, ignoring my inner cry for relaxation and rejuvenation. My spiritual foundation and emotional self-care took a back seat to the demands of life and of others. In other words, I wasn’t taking care of me. 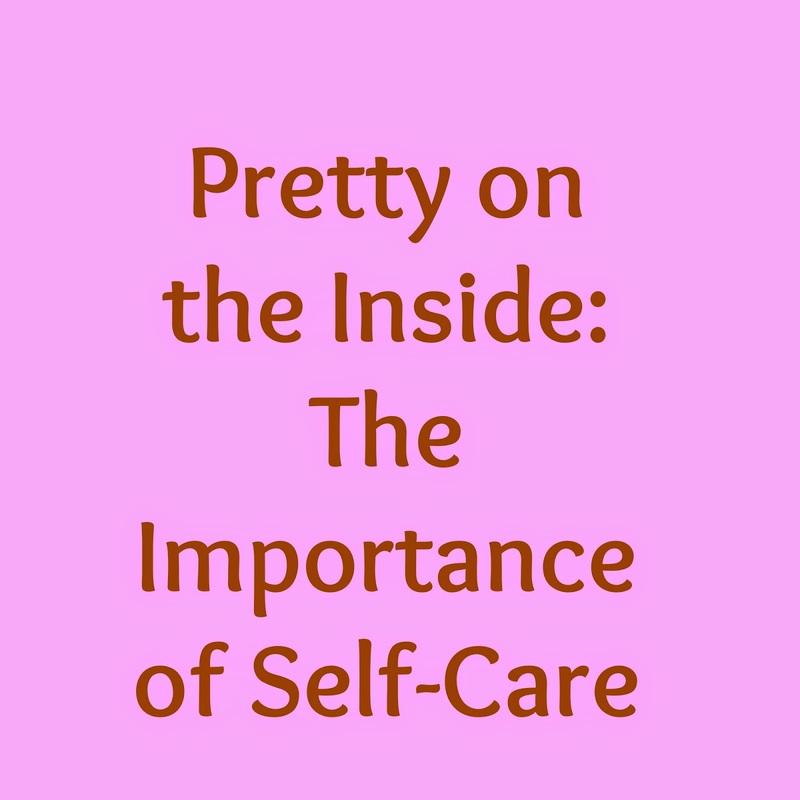 As much as I paid attention to my outward presentation, I neglected my internal self-care. No wonder I didn’t feel pretty on the inside. Without the internal filing, buffing and tender loving care, things were out of order. Presenting our best selves to the world entails more than a pretty dress, well-manicured nails, and gorgeous shoes. We also need our best inner selves. This is only possible when we pay attention to her needs, because she too needs love and care. Whether it’s prayer, exercise, writing in our journals, spending time with friends or visiting the spa, we all need time to breathe and take time for internal self-care. Lovelies, stay pretty, both internally and externally! Taraji, she's like wine, she gets finer with time. Read her interview here where she talks about being a mother, an actress and desiring diversity in films.